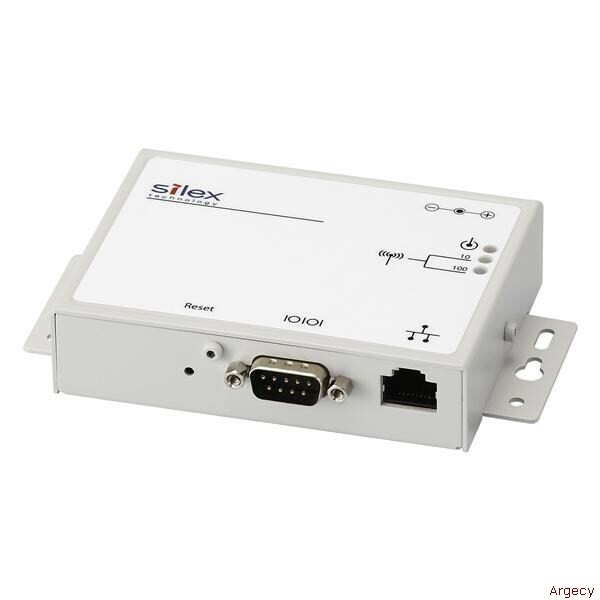 Silex serial device servers allow remote connectivity to serial devices over traditional Ethernet or the new wireless LAN networks. Whether your devices use RS-232, RS-422, or RS-485 serial modes, or even the MODBUS protocol, virtually all serial standards are covered by Silex products. What's more is that each configuration can be opted to have wired Ethernet or wireless 802.11b connectivity. The wireless models offer extreme security protection such as 802.1x Extensible Authentication Protocol (EAP) with Tunneled Transport Layer Security (TTLS), and Open System or Shared Key support with strong Wired Equivalent Privacy (WEP) encoding. They also support WPA (Wi-Fi Protected Access) via the Temporal Key Integrity Protocol (TKIP). With WPA, WPA2, 802.1x EAP TLS, TTLS, LEAP, WEP, read and write configuration passwords, as well as TCP/IP access control lists, you can be sure your data is secure. The TROY500/505 model enclosures are made of rugged 18 gauge pre-plated galvanized steel with an IP40 industrial-grade rating. Side flange mounts allow for permanent installation on virtually any surface, or on a DIN rail using the optional DIN rail mounting bracket. The units can withstand electrostatic discharges as high as 15 kV at the serial connector.